How can I get the inputs from my HTML text boxes ? 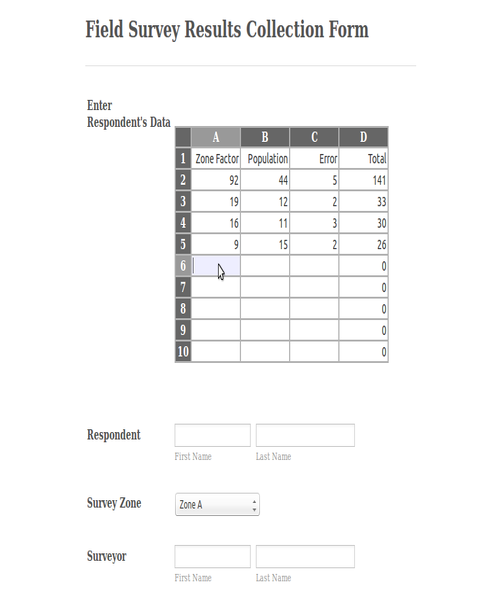 These are simple input boxes with labels and names (embedded in an HTML table structure). The user fills in the fields, but I can't get any of these field values in the submission at JotForm. Since the input table was not a standard form template, I had to rely on HTML to do this in a clean and obvious way. Please help as this is the last step before I can publish my form to the world. The TEXT field (from Form Tools) is a Read-Only field. So, you cannot really get an input data using that field. You will be able to get the submission data of the spreadsheet widget.